You know, they grow up so fast. And if you are a mother, friend of a mother, father, or friend of a father- then you have experienced this. It’s the classic catch phrase that’s been expressed by thousands of generations of parents. And it’s 100% true. Why do they grow up so fast? Are we constantly over preparing and under-preparing for the next steps in our children’s lives that we let time roll by? Yes. We are living in a time of instant gratification and while it may feel pretty good it also creates a chaotic fast paced lifestyle with little to no room to sit back and enjoy a cold beverage, which I happened to enjoy, a lot. The upside to technology– I get to create a super sweet blog and load it with pictures and videos taken straight from my phone of my little baby girl. Now I can’t miss a single milestone. Granted I could just write it down in the baby scrapbook. But where’s the fun in that? You wouldn’t have the pleasure of rolling your eyes at my constant parental praise towards my little one. It wouldn’t feel right depriving you of that. So the first milestone of course, is starting this darn blog I’ve been meaning to for the past 14 months. Originally I was going to begin the blog through the pregnancy but with going to graduate school full time, working full time, and being pregnant it just didn’t happen. I’m not surprised either. Yes, “they grow up so fast,” and yes, now I actually understand that it is true. This blog is a special dedication to McKinley Gallagher Rauch and my way of cherishing and relishing every moment and each milestone that I can. 1) Born March 12, 2012 at 9:38 pm. Weighing in at 7lbs and 8ounces and 19 inches. 2) Her first smile was the third day of her life basking in the sun in Grandpa Kevin’s hands. 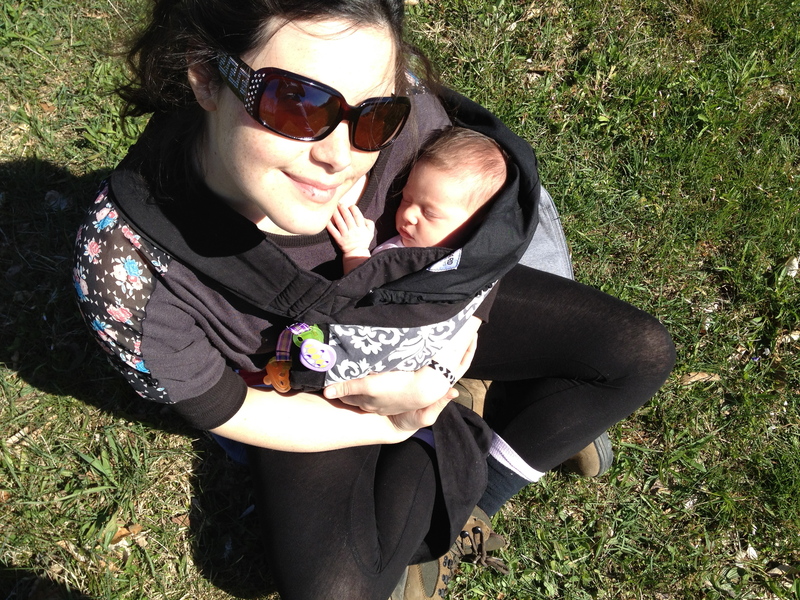 3) The first time she rolled from her front to her back was the day before she turned 10 weeks. 4) The first time she rolled from her back to front was when she was 3 months old. If you have a little one and even if you don’t have a little one, take a moment, possibly with a cold beverage, kick your feet up, relax, and create your own special milestone with someone special. Life is two short to be growing up fast, and growing up fast makes life to short. So there you go.